Hair doesn’t have to be complicated. Sure, a head full of lustrous locks is a wonderful thing to behold – but keeping it looking and feeling its best takes time, effort – and not least of all, money. There is a solution: the all-one-length, short hairstyle best known as the “buzz cut”. Buzz cuts are stylish, cost-effective, low maintenance, and perfect for those short on time (or short on hair) – and the BaByliss 7545U Easy Cut V2 Clipper is the perfect tool for the job! What Does the BaByliss V2 Offer? 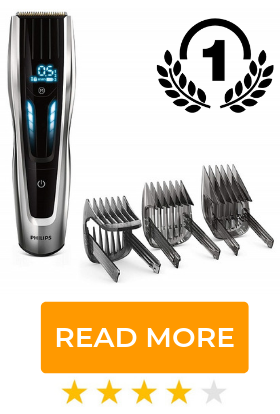 Cuts evenly, every time, with advanced rotary blade technology. 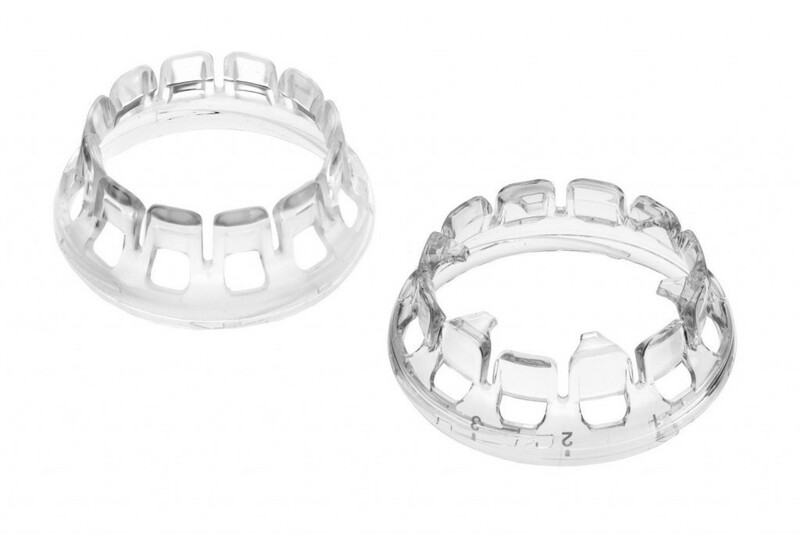 Precise, high-grade stainless steel blades cut smoothly and quickly. Ergonomic shape makes the clipper easy to hold. 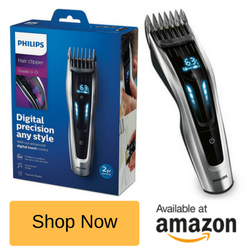 Included trimmer, scissors and comb allow for a perfectly-groomed appearance. Versatile: Use corded for extended periods of time, or cordless, for convenience and flexibility. Included blade oil keeps clipper running at peak performance. 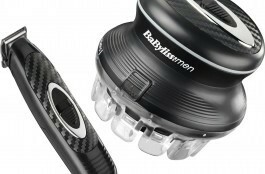 The BaByliss 7545U utilizes rotary cutting action. The blades of a rotary clipper rotate (hence the name, “rotary“) at high speed, and follow the contours of your head. 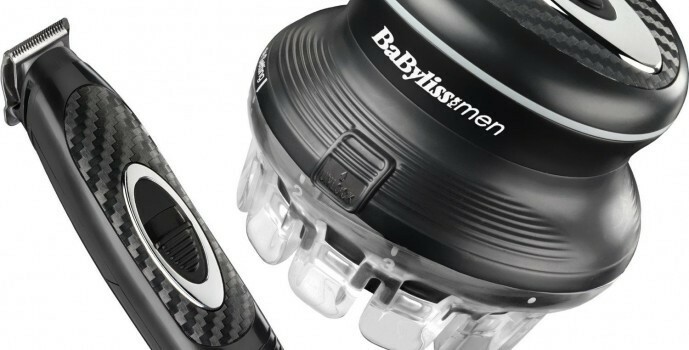 BaByliss promises that their rotary technology, when combined with the 7545U’s included circular comb guides, provides a “guaranteed even finish”. I was sceptical, having tried a number of clippers which failed to deliver on their promises (resulting in an uneven cut that took several passes to correct), but the Easy Cut V2 Clipper really delivers. I did have to slightly modify my usual cutting technique, but the results were worthwhile! It’s worth mentioning, however, that the BaByliss 7545U isn’t designed for layered cuts – its sole function is to provide an even cut, anywhere from 1 to 4 grades in length. The effect of a freshly shorn head is diminished by unruly sideburns, an out-of-control beard or a scruffy neckline – and quite often, those are the very things an electric clipper struggles with. Fortunately, BaByliss realized this, and included with their Easy Cut V2 Clipper a battery-operated precision trimmer. The trimmer’s five-position comb guide is adjustable to cutting lengths of 3, 6, 9, 12 and 15 millimetres. It’s easy to use, too. When I want to trim my sideburns, beard or neckline, I hold the trimmer flat against my skin with the teeth pointed up, and move against the grain (the direction in which my hair grows). If I feel like shaping or outlining, I repeat the process, but flip the trimmer, pointing the teeth downward, and cut with rather than against the grain. For a super-clean look, I follow outlining with trimming. Let’s face it: some grooming products include more accessories than one would possibly need – and quite often, those “all-in-one” kits are marketed as such to disguise their inferior quality. The BaByliss 7545U does include a number of accessories – but none are superfluous, and the clipper and trimmer perform well. The included wash bag is ideal for traveling, and keeps the comb guides, cleaning brush, scissors and blade oil contained and easy to find. Corded or Cordless Operation for Ease of Use – Anywhere! I’m a big fan of dual power-mode electric hair clippers. The BaByliss Easy Cut V2 can be operated by plugging the 2.5 metre cord into a mains outlet – which allows for extended run times and maximum power – or cordlessly, untethering you from the wall, and allowing you to trim your hair anywhere. A full charge provides approximately 40 minutes of runtime – sufficient for almost any situation – and whether used corded or cordless, the 7545U’s ergonomic shape means it sits comfortably in the hand. If you’ve ever contended with a bulky, boxy or otherwise unwieldy hair clipper, you’ll appreciate the refined shape of the Easy Cut V2. 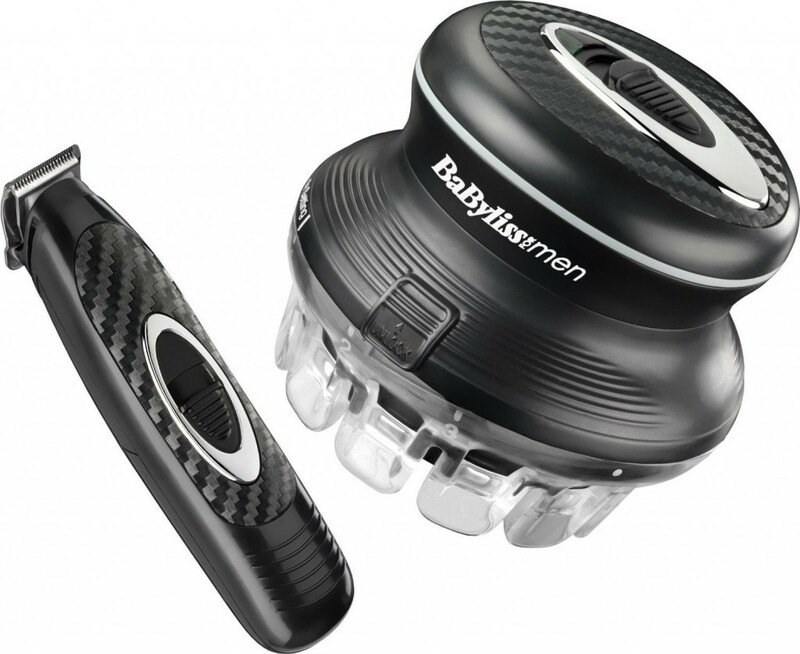 The BaByliss Easy Cut V2 is reasonably priced, and performs well. It’s worth mentioning again that using this clipper requires that one modify their cutting technique. Starting at the back of your head and moving to the front with a sweeping motion, then evening out hair with circular motions, provides a smooth, even finish. I’m very happy with the cuts I’ve achieved, and I think you will be, too!